On Easter weekend Raven's Tot Just Dance (Britney) was mostly traveling from one country to another. 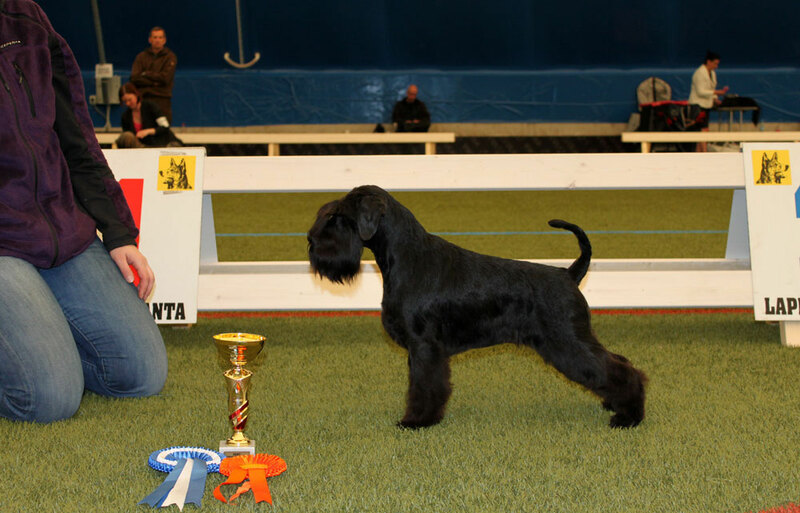 First she visited Narva, Estonia and took part in International Dog Show. 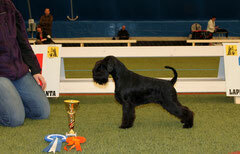 She was shown by Irina Lukasevich and won Intermediate class and was 3rd Best Female. Thank you for help, Irina! Judge Hans Van Den Berg. There she was Class Winner, 2nd Best Female, CAC, res.CACIB -> CACIB. Just enjoyed time in the ring with this "excellent mover in tip top show condition".